DEAL! 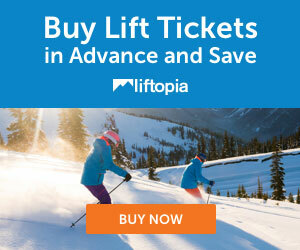 One to 10 day discount ski tickets for Winter Park at up to 27% off!! 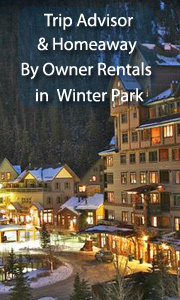 Check out our great Hotel picks and by owner vacation rentals for Winter Park! We offer discounts on ski tickets, ski rentals, lodging, by owner rentals, and apres ski ideas for Winter Park, Colorado. Winter Park is the closest large ski resort to Denver. The runs tend to be easier than at the mountain just next to it, Mary Jane. Now that is a challenge! Easy to get to from Denver, many, many places to stay, makes Winter Park a favorite destination for Denverites! DEAL! 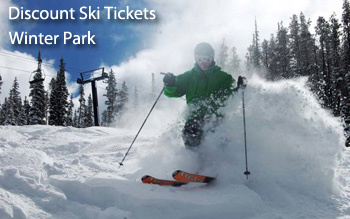 One to 10 day discount ski tickets for Winter Park at up to 27% off!! See All our Hotel Listings for Winter Park! 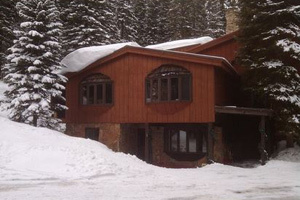 Featured: Timberhouse Ski Lodge - Book it! 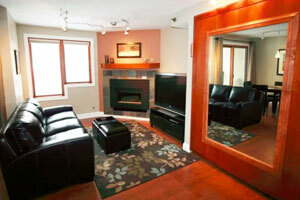 Featured: Ski in/out, mountain view, fully remodeled studio, 5th floor, 90 steps to ski , studio, slps 4, from $164/nt - Book it! VRBO 649556 -The studio is fully remodeled. The unit's warm tasteful décor will make you feel at home. The Murphy bed is a queen and easily pulls down. The couch is a new (2017) queen sleeper sofa with memory foam mattress. The sleeper sofa is a new technology with "stay put" seat cushions that do not have to be removed, but instead are automatically stored under the bed. The innovative system supporting the mattress provides for a comfortable uniform feel and is not like your typical sleeper sofa. There is a 52” Sony HDTV with HD cable and HBO (this is one of the few units that has HD in the room). 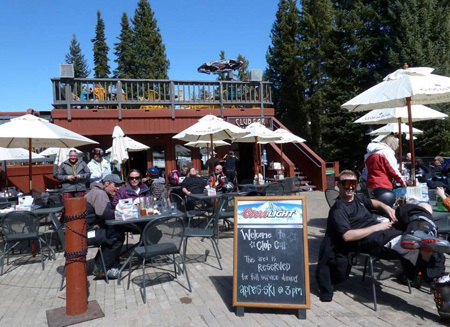 Great Apres Ski Ideas for Winter Park! Bars, Restaurants, Fun Guides, Nightclubs! Christy Sports is on Hwy 40 as you drive into Winter Park and offers 20% off of rentals if you order ahead. North America Ski Discounts had negotiated a relationship with Christy Sports and offers you a 20% discount thru our portal. Did you notice kids ski free? Winter Park consists of three interconnected mountain peaks: Winter Park, Mary Jane, and Vasquez Ridge. 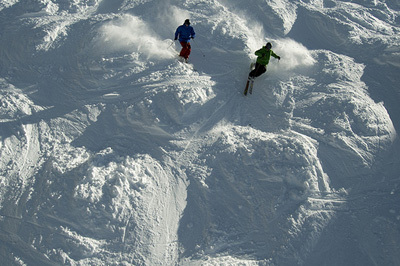 Mary Jane is known best for its moguls, glade skiing, and the Parsenn Bowl. Vasquez Ridge offers up plenty of intermediate terrain and mogul runs. Served by 25 lifts, Winter Park has more than 3,000 acres of skiable terrain and 143 trails for skiers and riders of all levels. Though contrary to popular belief, it is not all about the moguls and advanced trails, Mary Jane’s backside offers long intermediate groomers and beautiful access alongside the national forest. Mary Jane Trail, a wide-open groomer off of the Super Gauge Express is the perfect run from top to bottom. Mary Jane also hides free slope side parking, so park here and hop on the free bus to the base village at Winter Park. Vasquez Ridge and Winter Park Mountain offer plenty of intermediate terrain, groomers, terrain parks and the Winter Park half pipe. Best powder stashes are on Outrigger and Retta’s Run while best groomer/mogul half and half trail is often Bradley’s Bash and Balch trails. Dip over to the Mary Jane off the Outhouse Trees for a real wild ride. Winter Park’s two other sections, Parsenn Bowl and Vasquez Cirque offer variety to traditional ski terrain. Parsenn Bowl is a true blue with long open groomers and stunning views of the Continental Divide while the Cirque is accessed by backcountry gates and some of the mountain’s most challenging terrain.